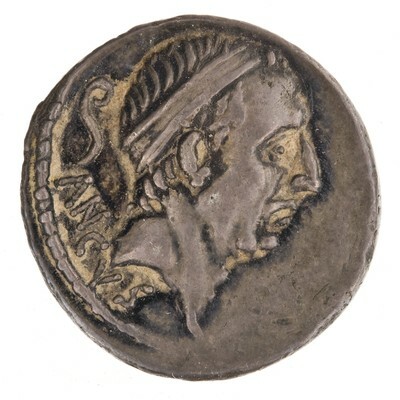 Obverse: ANCVS - Head of Ancus Marcius, wearing diadem; behind, lituus . Border of dots. 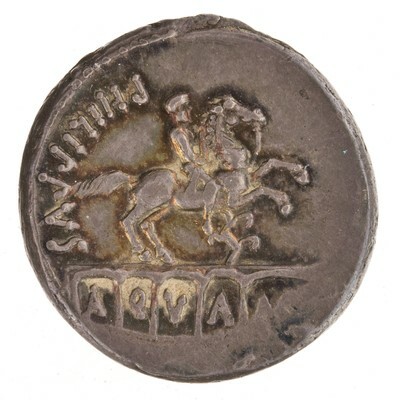 Reverse: PHILIPPVS AQVA MAR - Aqueduct, on which stands equestrian statue; at horse's feet, flower; within arches of aquedcut, inscription. Border of dots.